Deceased praying mantis. Arms pointing to my home. Ok friends, here’s another animal one for the blog. The other day, I told you about the gas leak and propane leak at the house. I also mentioned the dead animal smell in the backyard. I never found the dead animal because I didn’t want to go looking for it honestly. I’m not a gal who likes to see those types of things. But the good news is that the smell has dissipated. Thank goodness. The gas leak is repaired. Woo Hoo! Hot shower here I come! But as I ventured out to put out my garbage yesterday, I saw on my patio a dead praying mantis. You may remember that I recently wrote about seeing a praying mantis and its symbolism here. But a dead one? I have scoured the internet looking for what it means to find a dead one facing my home (photo above). However, I’ve found no answers to my question. Last night on my way to bed, I saw a shadow in my kitchen window. What in the world could it be? So, me being me, I pulled back the curtain and it was a live praying mantis walking on the window outside. I focused and took a bunch of photos of it and watched as he/she moved around. I also peeked outside on the patio to confirm that it wasn’t the one I had previously seen dead because that one is still in the same position (and head was intact so if you were wondering if he had previously mated, apparently she wasn’t hungry). If you don’t know what I’m referring to, I’ve read that the female praying mantis may eat the male after/during mating sometimes. Can you imagine? I saw a shadow of something through the kitchen curtains. As I lifted the curtains, I saw it was a large bug. It took about 20 minutes for me to watch the praying mantis walk around the window to realize what it was. What a lovely special visit before bedtime! Anyway, I thought it was interesting to note how the deceased praying mantis and the new live one on the window came into my life yesterday. Just for the record, does anyone have any intuitive messages about this? Please feel free to share. Thank you! Power Up ~ Let’s Write Your Success Story! 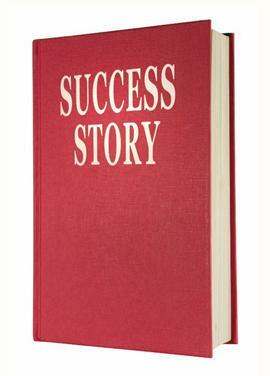 Let’s Write a Success Story ~ YOURS! This is your life. There, I said it ~ whoops, I mean, I wrote it. Not that you need me to tell you this, but sometimes I think we need to remind each other that we are in charge of our own lives. It’s our decisions and our choices which have led us to this place called the Present. The success or failure of our life rests in our capable hands. How’s that for a truth? What do you think about that? Are you happy with your Present? Do you wish to change it? Well, you can! It’s simple. Starting now, take baby steps to change what you don’t like and grow what you do like! What? You don’t know what you want? You can’t think of what you need? You don’t know how to get it? Are you feeling a bit overwhelmed? Ok, let’s start at the beginning my friends…Step One ~ take out a piece of paper and write down your ultimate fantasy life ~ no holds barred, without limits, what would it look like? Include all that you would like to enjoy in your life ~ does that include a loving partner? Children? Pets? Home? Car? Job? More money? Happiness? More Love? Peace? Friends? Family? Joy? More free time? Just free-write and list what you want to see in your life. When you’ve exhausted your mind and added all that was swirling around, put down your pen and take a deep breath. Now reread what you’ve just written. Do you see a trend? Is there a theme of what you want in life? Are there any bits that you can accomplish today? Do you have any of them already? Can you ‘see’ yourself having them today or tomorrow or by the end of 2013? There’s no need to do any more today, unless of course, you remember something else you want to add to your list. Perhaps you should keep it with you this week as you go about your daily routine. You never know when you’ll be inspired to add something else to your life list! YOU HAVE THE POWER to live your life exactly how you want to live it provided that it brings love, happiness and harmony to yourself and others! The Shift to Feeling Delicious! 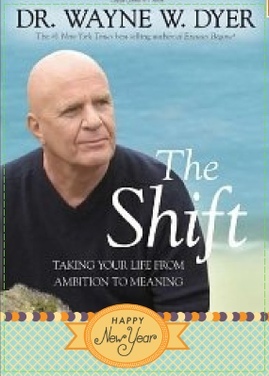 Through synchronicity last week, Hay House delivered to my inbox, the opportunity to download The Shift by Dr. Wayne Dyer for the incredibly low price of $1.99 . Being the bargain shopper that I am, I immediately checked out the preview footage and being intrigued, I dug out my credit card to get the 2 hour movie to stream to my computer. Now the next hurdle was how, as a busy Mom, wife and business owner, was I going to carve out 2 hours to watch it? However, last Friday, I finally sat down to watch the movie…and it changed my life. Usually I am not speechless when it comes to my blog (or to anything for that matter), but I have been unable to find the words to explain The Shift except to say that when the movie was finished, I laid down on my couch, closed my eyes for a few moments to take in the experience and felt a blissful peace that I hadn’t felt in years. The words remarkable, stunning and life-changing come to mind ~ but I think the best is ~ I felt DELICIOUS! Delicious? Did she just write delicious? That’s how food tastes, it’s not a feeling! I know, I know…but have you ever felt delicious? It’s a feeling I had never experienced until now and quite frankly, it’s one that I won’t forget in the near future. Words escape me in explaining it more…but it was a calm, an inner healing, a feeling of complete happiness in my soul that I experienced and I’ve been able to call up that feeling for the last few days when I’ve gotten quiet and asked to feel it again. I wanted to share it with you because it’s a new year and this was a new experience for me, one that I think you’ll enjoy, appreciate and one that may change your life for the better as it’s done to mine. Whether you are a man or woman, this profound movie will easily touch you. You don’t need to be an enlightened being to ‘get it’ nor does being an enlightened being make the move boring to you either…it’s one for all ages, for all people and for myself, it’s a keeper. I’ve been quiet the last few days because I’ve been trying to figure out how I could tell you what ‘I feel delicious’ means…but I’ve decided that I’m just putting it out there for you to taste and see the delicious experience that The Shift brings. Be open, let it gently wash over you and then let me know what you think! Do you want to feel DELICIOUS too? Want to buy the book? Or buy the movie? Just click here! There are others talking about it too! Check out the blogs below! I had an epiphany recently which I thought I would share as it goes along so beautifully with this card, summer and life! This year I declared was MY YEAR, but it hasn’t worked out the way I planned it to at all. But then, sometimes the Best Miracles arrive without fanfare, without warning and certainly not within our control. I am a worrier at times and I know the saying, “worrying is like sitting in a rocking chair ~ it gets you nowhere even though you keep rocking” or something like that… I can’t ever seem to get the exact quote, but please tell me that you get what I’m trying to say? Anyway, as a family, we often take our boat out to an island which is about an hour away. It is an ever popular spot amongst boaters as it marries the bay and the ocean via an island which allows you to anchor nearby and enjoy the day. My thoughts and life have been changing this year and the proof was in the day yesterday that I’ve come a long way, Baby! For the first time in years, I sat on our boat and enjoyed the day without driving my husband crazy by worrying about the other boaters who are not always careful when they are ‘parking’ and anchoring their boats. Because it is such a popular spot, many people try to squeeze in-between boats in order to have the closest spot to the island. We get there early so that we get a prime spot before the droves arrive and it’s that worry that someone will anchor too close that used to have me worrying the entire time we were there. I would enjoy the day, but I couldn’t keep the worry out of my head nor out of my mouth. I would motor on as such in a diatribe of worry that it drove my family crazy as well. Yesterday was the first trip of the season (better late than never) and as the other boats neared, I smiled instead of scowling and simply enjoyed my day. When the first boat came too close, my first reaction was to worry immediately if they were going to hit us, run over our anchor etc, and the peaceful thought of “Everything is fine,” allowed me to relax and stop the incessant worry which had plagued me for too many past summers. And…it was WONDERFUL! I let go! I am finding that my life is changing for the better when I allow it which is more and more often. My first thought it to imagine the worst, but it’s simply a bad habit which I’ve grown accustomed to over the years and I now know, has not served me well. Like many habits, it’s breakable which is great news and it’s simply consistency in my thought process to change it. Notice I am not being negative about breaking this undesirable habit of mine, I am being positive ~ positive that with time, effort and confidence I can have it licked soon! Enjoy the Miracle of Today!